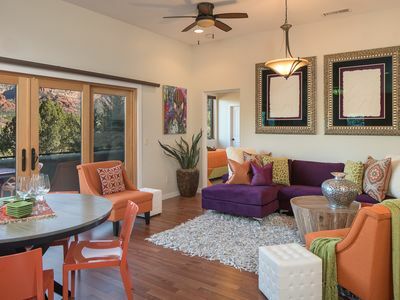 Immerse yourself in the beauty of Sedona and stay at this tastefully remodeled 2-bedroom, 2.5-bathroom vacation rental townhome! 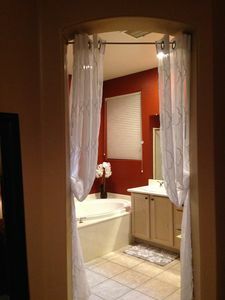 Situated in the Wild Turkey Townhomes, the property offers privacy for couples and small groups while conveniently being just steps from several shops and art galleries. 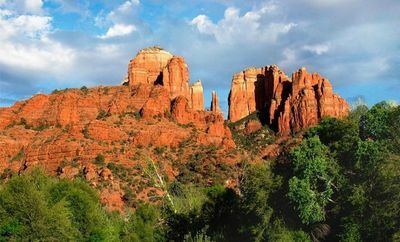 With Red Rock State Park, the Coconino National Forest, and downtown Sedona all within a short drive, you can easily access the breathtaking natural beauty of Arizona in no time! 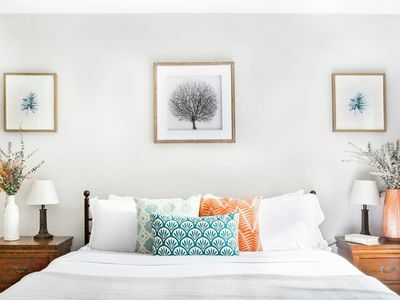 Your spacious home-away-from-home offers 1,474 square feet of living space filled with all new furnishings and contemporary decor! 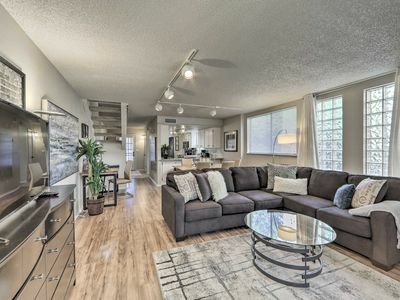 You'll love curling up on the large sectional sofa to watch the flat-screen TV while enjoying the ambiance provided from the electric fireplace. 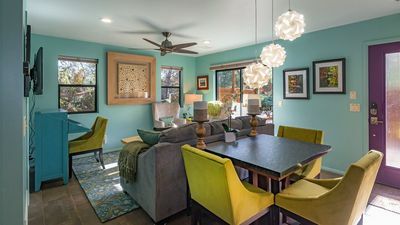 When you grow hungry, get to work in the fully equipped kitchen complete with modern appliances and all your culinary essentials. 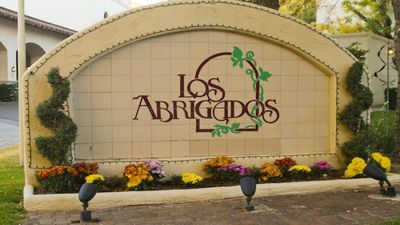 Settle at the large 6-person table for a quality meal, or head out to the furnished patio for an al fresco dining experience! 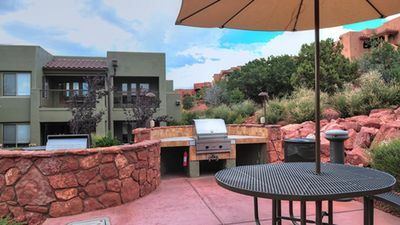 As the sun sets, sit on the patio with a glass of wine to enjoy the peaceful views. 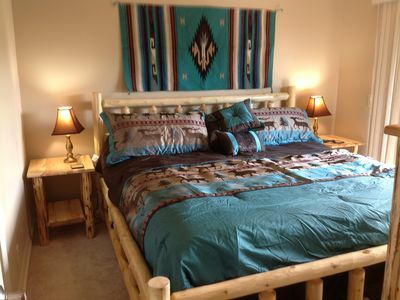 Effortlessly drift to sleep in one of 2 spacious bedrooms - one with a king bed and the other with a queen bed and TV. 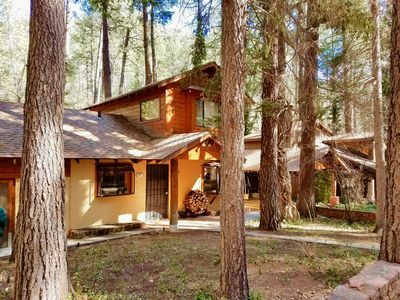 The amazing location of this property places you within walking distance of everything in the Village of Oak Creek! 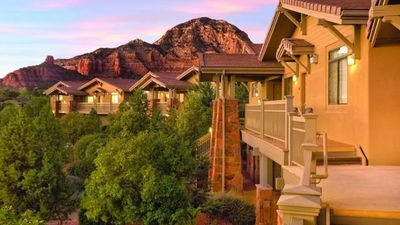 Take a short stroll down the street to access grocery stores, cafes, restaurants, and The Collective Sedona. 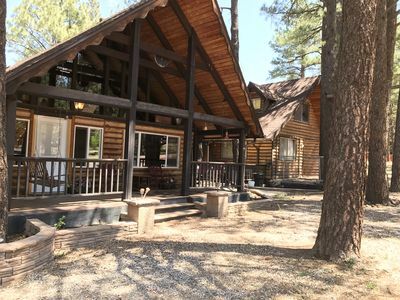 If you don't feel like cooking, head to Oak Creek Espresso for breakfast, Miley's for lunch, and PJs or The Corner Table for happy hour. 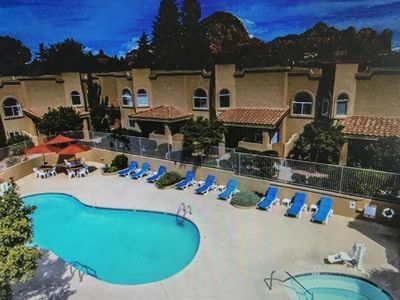 You're also within reach of various golf courses such as Oakcreek Country Club or Sedona Golf Resort. A 1-mile walk or bike ride will take you to the trailhead for Bell Rock where you can hike to one of Sedona's most popular rock formations! 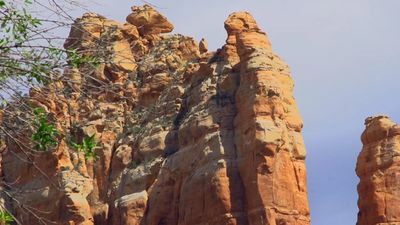 For even more outdoor adventure, make your way to Red Rock State Park for some hiking, mountain biking, or horseback riding. 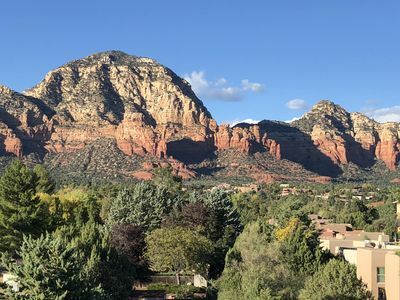 On your way home, explore downtown Sedona - hosting an array of events during the year, some of which include the Gem & Mineral Show, VegFest, and Yoga Festival. 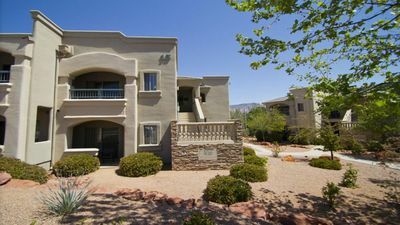 - Amenities include a fully equipped kitchen, flat-screen TV with Roku and YouTubeTV, free WiFi, electric fireplace in the living room kiva, central heating and air conditioning, linens, towels, in-unit laundry machines, a furnished patio, gas grill, 2 parking spaces, and more! 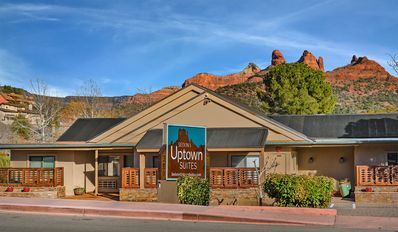 - Terrific Sedona Location - Within walking distance of several shops and restaurants, plus only minutes from Red Rocks State Park and downtown Sedona! 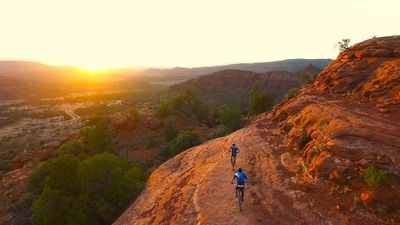 Adventure Awaits in Sedona, Arizona! 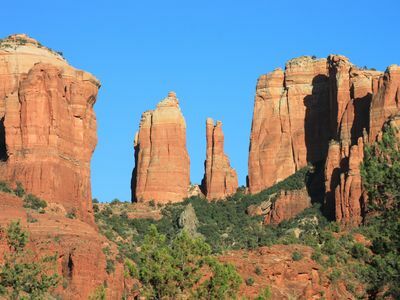 Summer Breeze, makes me feel fine, Sedona!